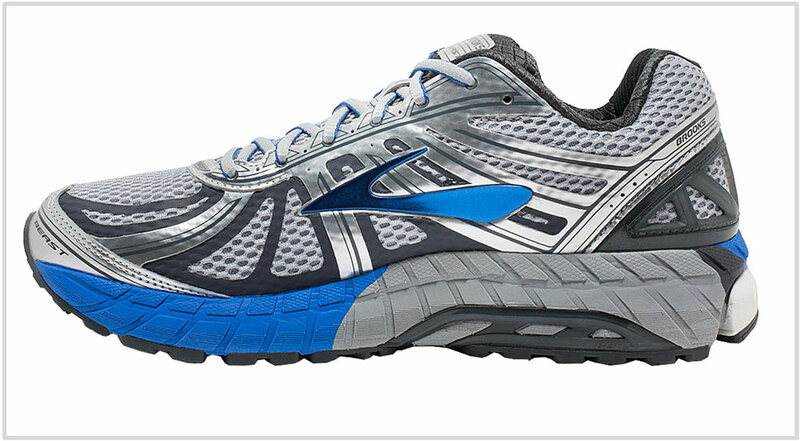 Brooks' marketing pitch: Maximum stability plus an insanely comfortable, cushioned feel. Upper: Spacer mesh, synthetic leather, fused urethane. 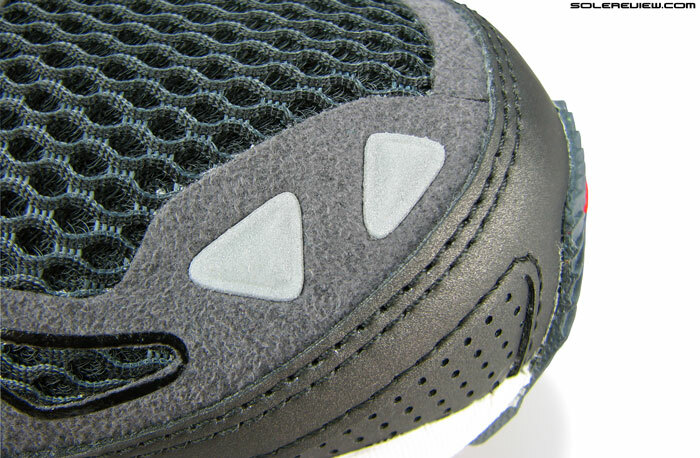 Midsole: Quad-density compression molded EVA foam. 12 mm heel offset. Widths available: D - regular (reviewed), 2E- Wide, 4E -extra wide in select colors. The new Beast gets an update after a gap of two years. It has the same ultra-wide outsole and hefty midsole, but minus the Gel DNA and much-needed forefoot room. Consider the Coelacanth, a marine animal long thought to be extinct before its chance rediscovery in 1938. It was probably hiding in its African sea cave when nature was busy installing evolutionary updates on the rest of the earth’s species. Today, the Coelacanth is a biological anachronism, and yet it happily coexists with its long-removed descendants. If you thumb through vintage mail order catalogs featuring running shoes, it becomes obvious that the ‘stability’ running shoe category was a completely different animal back in the day. Humongous, in-your-face medial posts towered high above the ground, and broad outsoles were all the rage. Much like the biological evolution of species, running shoes have evolved by leaps and bounds. The same Asics, Brooks and Nike shoes which proudly displayed their large medial-posts twenty years ago are now much slimmer versions of their former selves. Not so with the Brooks Beast. Much like the time-forgotten Coelacanth, the Brooks Beast reminds you of an era gone by. To truly understand what we mean, look at this picture of the 2014 Beast 14. A mammoth medial post (in gray) dominates the midsole landscape, both in form and function. It is much firmer than the foam that surrounds it, and has a straightforward MO – prevent medial side compression at any cost. And as if that gargantuan presence of firmness wasn’t enough, there’s a largish plastic frame stuck to its side. 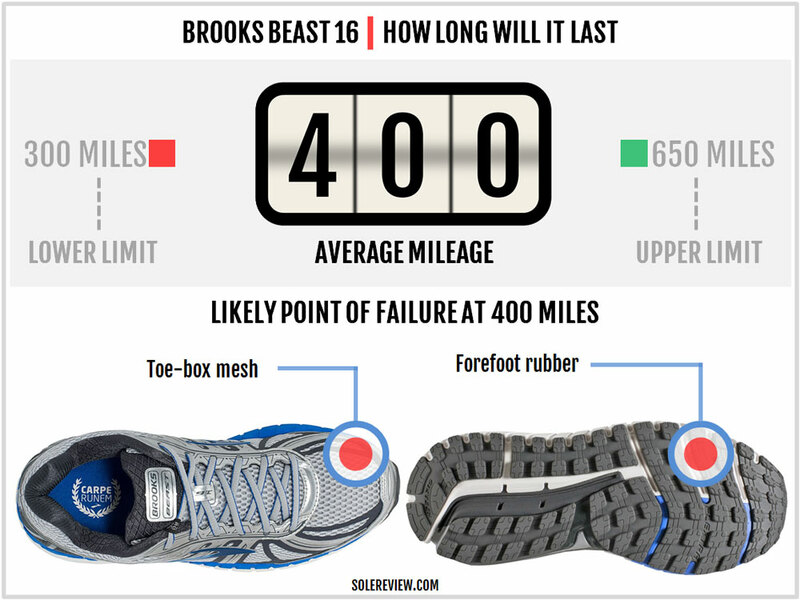 Well, the Brooks Beast can’t talk, so solereview will do its best to answer that question. The Brooks Beast is for those want the ultimate in stable ride. On the Beast, stability is not a mere buzzword, but a way of life. It isn’t surprising that solereview receives a lot of reader feedback saying that the Beast is what their doctor ordered, literally. Your knee acts funny? Wear the Beast. Are you recovering from an ACL operation? In that case, the Brooks Beast should do it for you. Do your toes glow in the dark? Well, there’s nothing that the Beast can’t fix. The Brook Beast and the Asics Kayano are two of the most ‘doctor prescribed’ shoe models, regardless of their functional benefits. This probably stems from the fact that the Beast appears most ‘feature heavy’ and is truly stable. It is also one of the few running shoes which are a close match with Orthopedic footwear. And besides, nothing works like psychological fortification; after all, placebos have been scientifically proven to be effective. Did you know that the New Balance 1340V2 – a shoe comparable to the Beast – might be actually eligible for Medicare reimbursement in the United States? We’re not making this up, go look it up on the New Balance website. True to its biennial update cadence, the Beast 16 is here. In a few ways, it’s a toned-down version of the 14. It loses the Gel-based DNA insert, and the midsole and outsole get a design refresh too. And like the last time, this product is one of the few which are offered in gender-specific versions. Men get their Beast 16, and women have their Ariel 16. The Beast 16 bears the same name, but given the magnitude of updates, the upper fit and ride differ vastly from the 2014 model. The updated package is also accompanied with a $10 price increase over the B’14. The Brooks Beast is an outlier even within the hard-core stability category. Its prodigious weight of nearly 400 grams is way above the average. Only the assembled-in-USA New Balance 1340V2 (yes, the Mediclaim deducible shoe) is directly comparable with the Beast. To begin with, the 1340V2 is 383 grams/ 13.5 ounces, a weight similar to the Beast. The 1340 also features a large medial post with a plastic shank extension, a treatment which resembles the Beast’s template. At the same time, the 1340 has a lot of cushioning; the heel has the N2 insert while the forefoot doesn’t fare badly either. After the 1340, the Saucony Redeemer comes second as a comparable shoe. The 13-ounce Redeemer has an ultra-wide outsole which compares with the Beast, and you can’t miss the scary looking medial post. Its midsole has generous stack heights of 29 mm rear and 21 front, which is pretty thick as midsoles go. The next rung of stability shoes would be the relatively lighter and trimmed-down selection of models like the Asics Gel Foundation 12 or the Mizuno Paradox 3. But keep in mind that these two are closer to Brooks GTS 17 and the Nike Odyssey 2 than the Beast or the New Balance 1340. 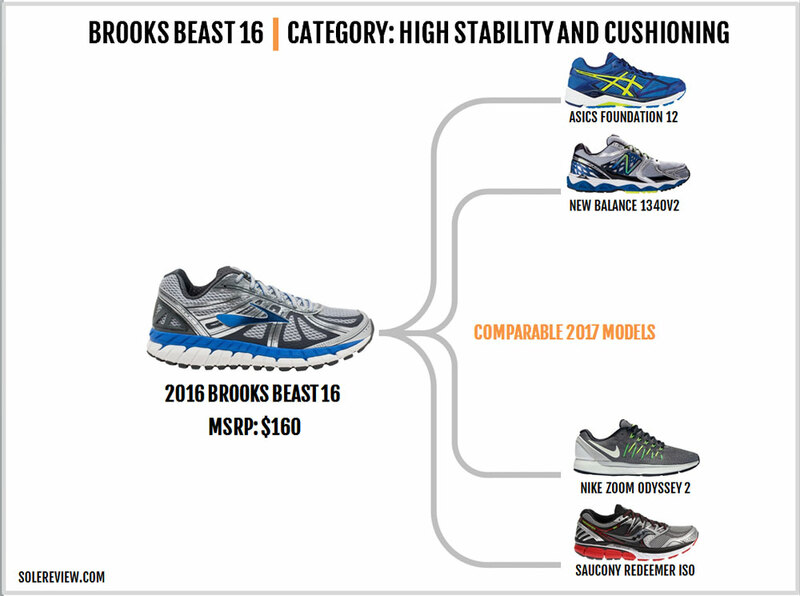 A gap of two years gives Brooks enough time to work on the updated model, and it shows on the Beast 16. Most of the upper has changed, both from an aesthetic and material standpoint. We reviewed the Brooks Adrenaline GTS 17 recently, and the Beast comes across as a GTS on steroids. Like the GTS 17, the Beast’s upper features synthetic overlays originating from the lacing area and splaying wide on the upper. 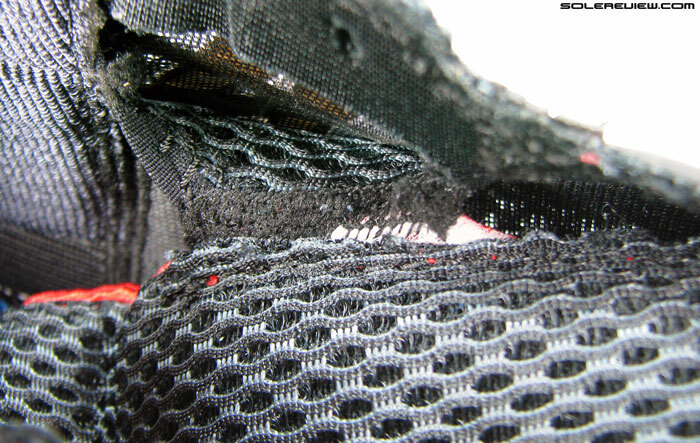 The mesh has changed, and so has the position and choice of layering material. The distribution of ‘visual’ weight has a more even spread than the Beast 14. The 14 had a relatively cleaner forefoot design and lots of material over the mid and rearfoot. The Beast 16’s patterns splay wide over the entire upper, giving the shoe a more balanced appearance. There’s increased material too. The stitched-on synthetic toe bumper is much longer than the Beast 14’s kind, and the softer materials over the forefoot have been replaced with thicker strips. Brooks has removed the gusset from the Beast 16’s tongue. The 14 had a gusset attaching its tongue to the upper; replacing that is a sleeve-less tongue with dual loops over it. Can’t think of any reason why Brooks did what they did; it was likely the whim of the designer working on the shoe. The soft, slight elastic laces are the same as the 14’s, and the tongue uses a different lining mesh. This ties in with the heel lining updates. The Beast 16 makes partial use of the 14’s heel lining mesh while introducing a new fabric alongside. 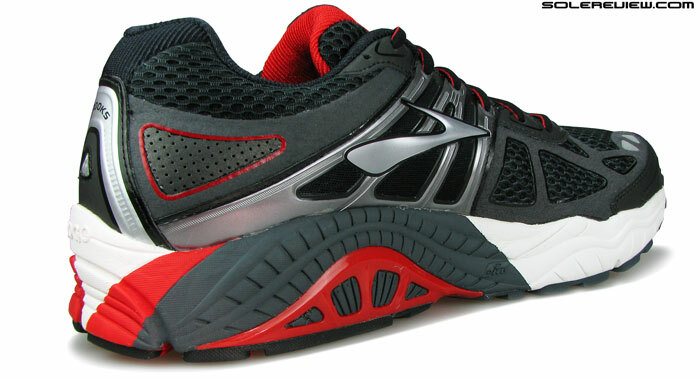 The Beast 16 uses two different kinds of heel mesh, as compared to the 14’s single mesh design. There’s a LOT of foam padding behind the heel lining, and the counter is molded wider than the Beast 14. The new Beast gets a plastic external heel counter as well. A mention must be made of the B-16’s lower heel back height than the 14. View both shoes from the rear, and it becomes apparent that the highest point of the Beast 16’s heel sits lower than the highest point of the 14. The Beast 14 was the last of its kind to feature the Gel-based DNA insert. 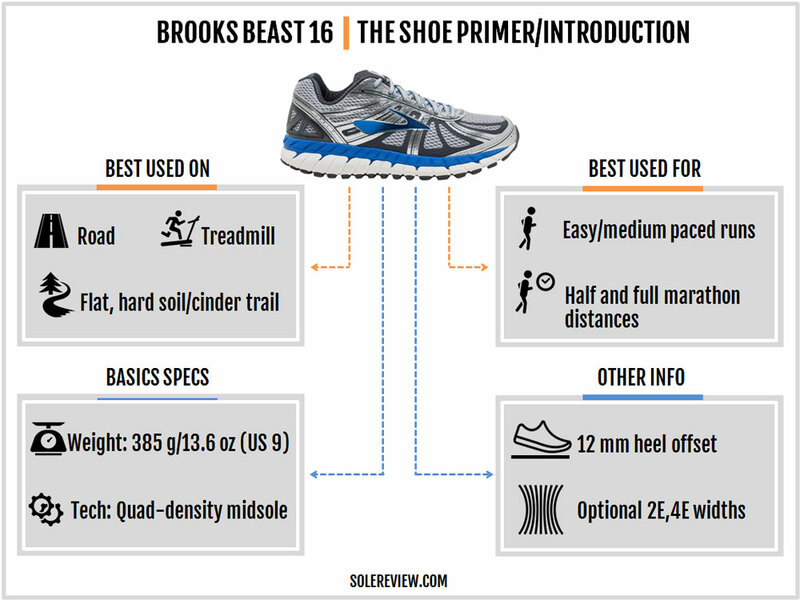 The Beast 16, like all newer Brooks shoes, switches to a midsole made entirely of foam. Brooks calls this material Super-DNA foam, which is nothing beyond a fancy name for an EVA foam variant. This is no Boost or Everun. The Beast lives up to its name by incorporating a massive medial-post which is cupped by an extension of the plastic shank. This firmer piece of foam is colored in gray, and the other side of the midsole (in white and blue) is relatively softer. Just like the upper, the midsole receives a cleaner visual scheme. On the outer side, the two midsole foam layers are stacked uniformly from heel to toe. This is in contrast to the Beast 14’s split design interrupted by a midfoot shank. The Beast 16 tones down the plastic shank too, making it lower and limiting its placement to the inner side only. The outsole hasn’t lost its ultra-wide footprint. The broad rubber-clad bottom is the reason why the Beast weighs nearly 14 ounces. Most shoes weigh in the vicinity of 11 ounces, so that places the Beast in a different category altogether. While the B-16 retains the broad outsole, it comes with a lot of design changes. To start with, the shape of the lugs are now consistent from heel to toe. The midfoot is also layered over with rubber, helped by the now-reduced size of the plastic shank. The Beast 16 gives the transition groove below the heel a distinct shape. The outer and inner outsole slabs are separated by a chasm which extends from the heel to the midfoot. The crash pad also receives a deeper groove, and naturally, both of these updates affect the cushioning quality. 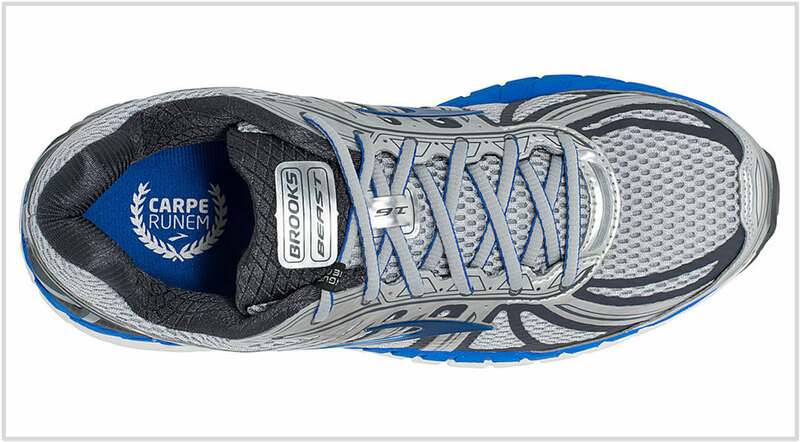 Like most Brooks running shoes, the Beast 16 uses two rubber varieties to fashion its outsole. The forefoot is made using softer blown rubber, and the back has a harder material. Generous side-to-side flex grooves split the forefoot, though this year the Beast 16 omits using the unusual fabric layer of the B-14. 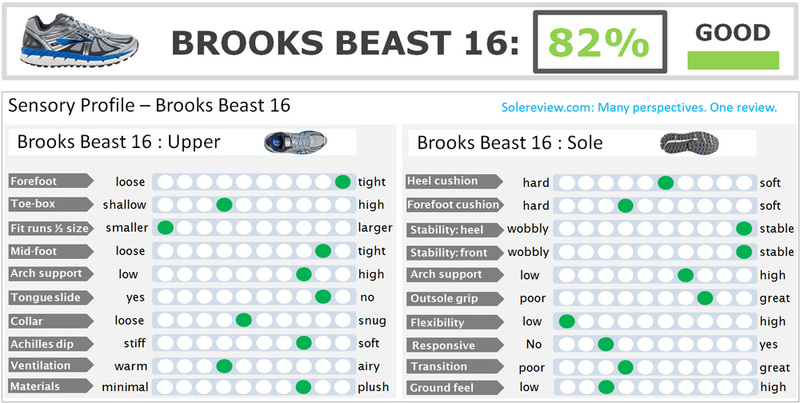 We’re happy to report that Brooks has left the 14’s insole untouched, and carries it forward to the 16. We know, it’s been two years, so here’s a picture of the peculiar looking insole to refresh your memory. 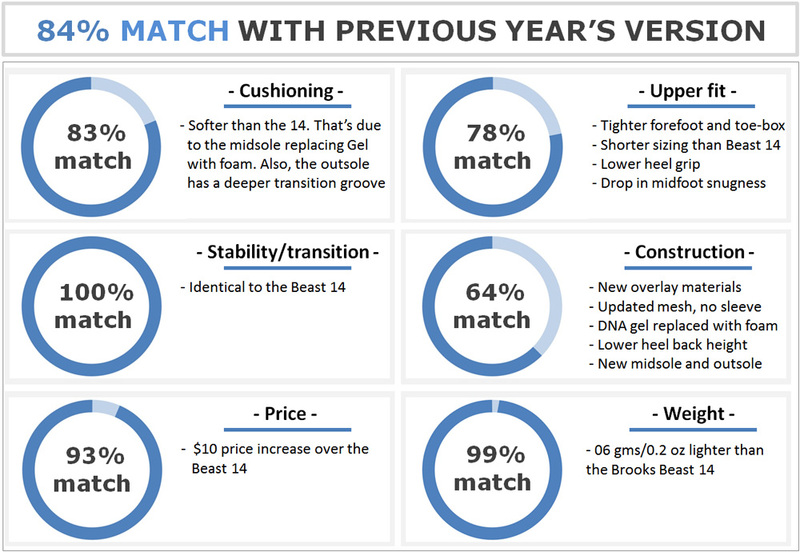 We weren’t sure of the exact material make-up of the Beast 14’s insole, and two years later we’re none the wiser. All we can say that it has the texture and feel of a (hypothetical) Polyurethane foam and Silicone rubber mixture. It does have an orthopedic feel to it, which is perhaps another reason why the good doctor prescribes the Beast. The removable insole is of considerable thickness, which means that it can be replaced with a hefty aftermarket or custom orthoses if you ever feel the need. 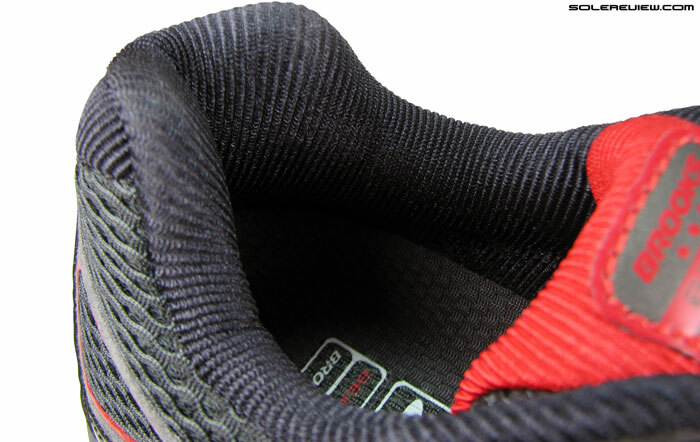 The only change made to the insole is the fabric which covers it. The Beast 16 uses a fabric with a softer hand-feel, similar to the one used on the Achilles heel lining. The Beast 16 is well, a Beast, and everything is strongly glued together. Even though the midsole is made of regular EVA foam, its sheer volume makes it durable. Besides, the midsole foam has a firm character which makes it resistant to flattening. You’ll probably wear out the outsole before the midsole comes to any harm. 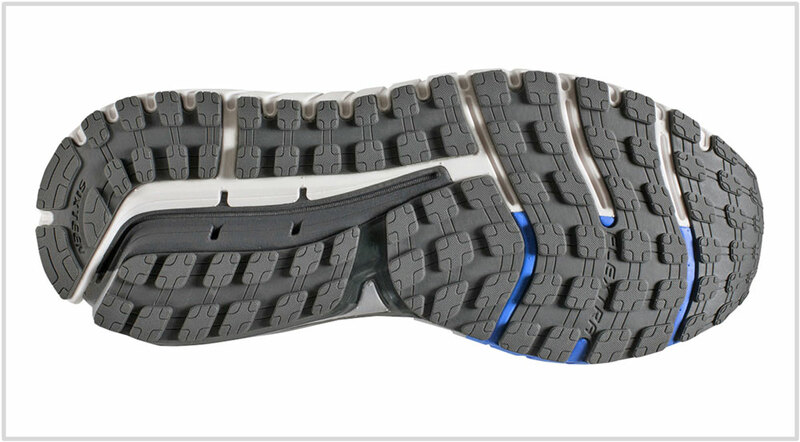 As with all Brooks shoes, the rubber grips extremely well but lacks long-term durability. 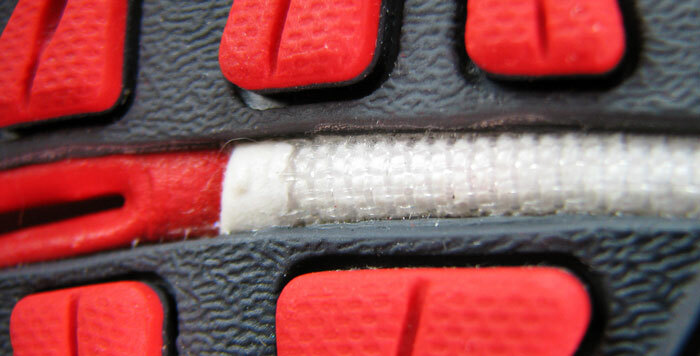 The rubber compound used on Brooks shoes wears out faster compared to other brands. The fit of the toe-box is very snug, so keep an eye on the mesh over your toes. The Beast 16 no longer has the ‘canopy’ made of soft synthetic which was present on the Beast 14, so that makes the toe-box ceiling vulnerable to wear and tear. 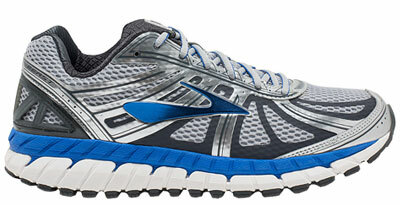 A way to get around the mesh upper is to buy the Brooks Beast 16 LE version instead. You get an all-leather upper version at the same price, but be aware that the tight fit is going to get even tighter, and the shoe will be less breathable. 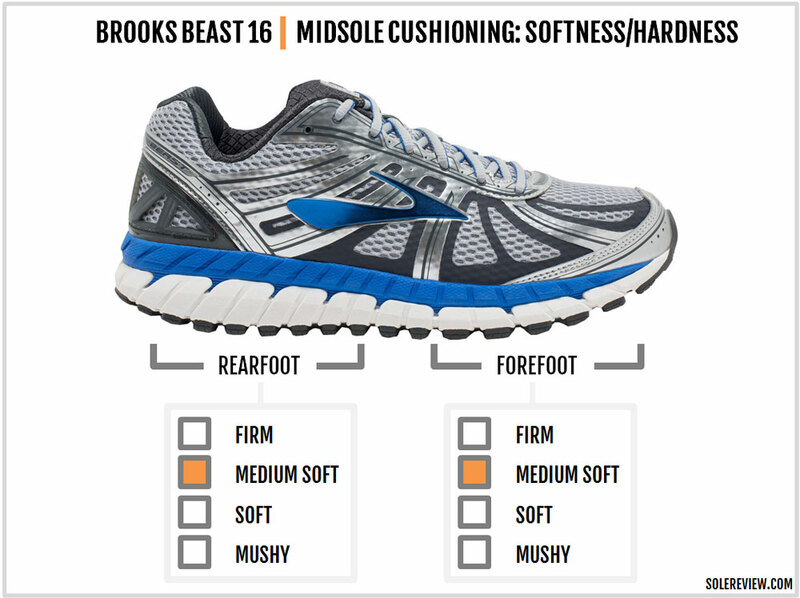 If you’re a size US 8 in other shoes (even Brooks), go at least half a size up in the Beast 16. Some of you might even require a full size up. If you don’t, then you’ll find the toe-box to be very shallow. It’s not that the toe-box has a sloped profile; rather, the smaller sizing of the Beast jams the foot forward. The Beast 16 dials down the quality of midfoot wrap, and this comes as no surprise. Unlike the Beast 14, the 16 does not have an inner gusset tethering the tongue to the inner upper. Hence, you’ll sense the loss of snugness around the midfoot. Tongue slide is kept in check by the ‘tongue tied’ loop, though. As pointed out earlier in the review, the heel back height is lower than the Beast 14, and the heel molding is wider too. Put these two together, and the Beast 16’s heel grip is weaker than the 14’s. Not only does the Beast 16 share the very narrow fit with the 14, but outdoes it. It has a longer tongue bumper in the front and increased layering on top. This gives the 16 a more pointy toe-box profile as well as a marginally tighter forefoot fit. Because of these two updates, the Beast 16 feels like it’s a half size shorter than the 14. But let us assure you, the Beast 16 and 14 are identical in sizing. It is the excess material in the front which makes it feel shorter. 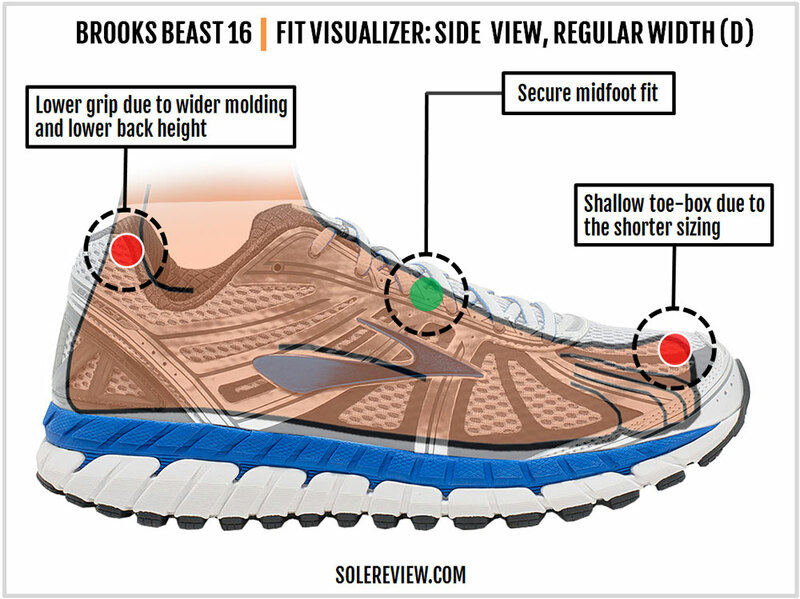 The Beast 16’s fit and sizing is inconsistent with the rest of the Brooks running line. Here, width ‘D’ (regular) for the Beast should be downgraded to a ‘B’ (narrow), and likewise for a ‘2E’ (wide) which should be ‘D’ for the Beast 16. There’s a good reason why Brooks does not sell the Beast 16 in a ‘B’ width! Given the amount of midsole foam used, the Beast isn’t short on cushioning. You also have to account for the super-thick insole which provides an immediate layer of soft cushioning. The midsole itself is quite firm. 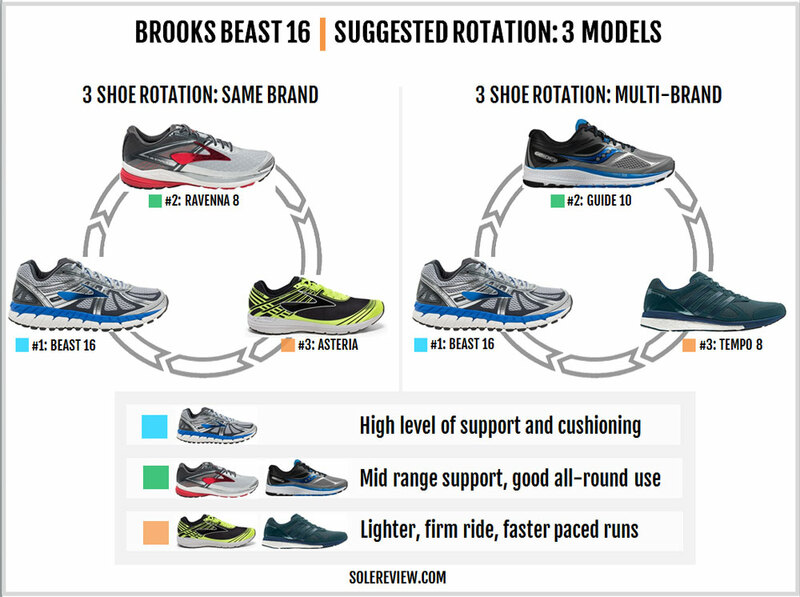 If you have experience with other Brooks shoes, then let us provide some context. 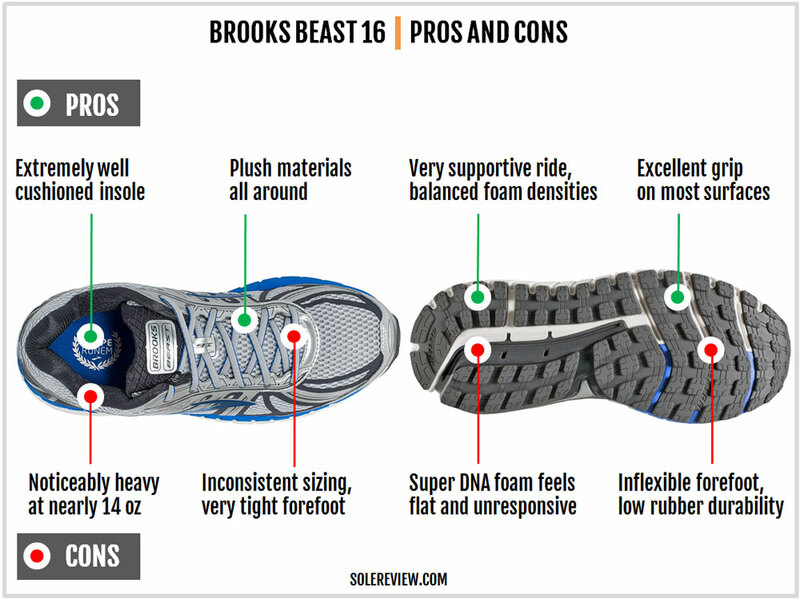 The Brooks Beast 16’s ‘softness’ is like a slightly firmer version of the Transcend. In the same vein, the Beast is two levels firmer if you compare it with the Glycerin. It is a bit softer in ride than the Beast 14, and that’s because of three reasons. The Gel based insert has been replaced with foam, which leads to increased softness. Also, the deeper transition groove and the better-segmented crash pad leads to a higher level of compression under the rearfoot. The forefoot cushioning is similar to the 14 and has a firm quality. Responsiveness is translated as the level of quickness with which a midsole returns to its original state after compression. On the Beast 16, not a lot of compression happens in the first place, so that naturally leads to a lower sensation of spring-back. In purely relative terms, though, the Beast 16 has a lower amount of responsiveness than the 14. The Gel based DNA did have a semblance of responsive feedback, and that sensation disappears along with the Gel. The Beast 16 is about stability in its purest form. The massive outsole footprint serves as an extremely supportive foundation, and the super-tight upper keeps the foot locked down in place. Even with the firm medial post, one doesn’t experience outwards biased lean. The lateral midsole isn’t overly soft in comparison, so the midsole maintains a balanced ride. At a weight of nearly 14 ounces, the Beast 16 is best used as a walking or a slow-run shoe. It is hard to go fast when lugging around so much mass, so if you’re looking for a faster shoe, then head over to the ‘rotation’ section for alternatives. The Beast 16 delivers what it promises. It has a level of stability which has no equal, and there’s plenty of cushioning packed inside the huge midsole. If you get past the sizing and fit issue, then upper is a plush place to be in. The materials have a premium look and feel, and the thick insole below pads your foot in luxurious softness. Our pet peeve with the Beast is its inconsistent sizing. It feels slightly smaller in size, not only against other brands but even when compared to Brooks’ own. 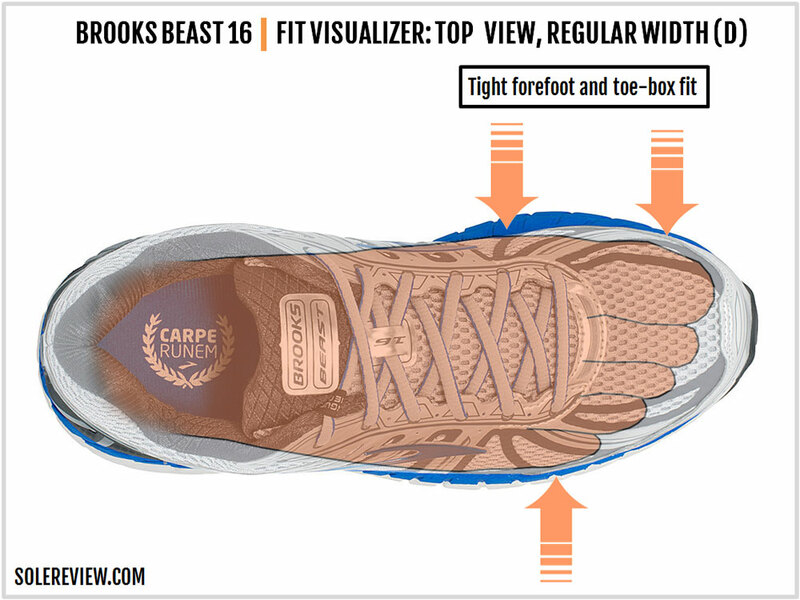 Not only that, the Beast 16 feels shorter than the 14 due to its updated forefoot. This isn’t footwear best practice; fit and other changes are fine, but sizing is sacrosanct. There are a few other areas to pick on. Like the $10 price jump over the already expensive Beast 14. Or the fact that the tongue is missing a gusset, and the heel grips with lower intensity than before. 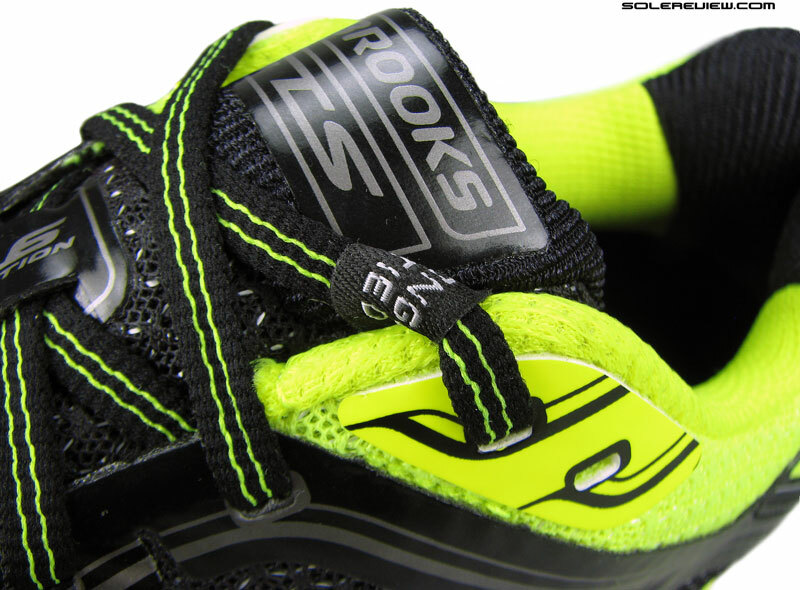 And lastly, like most Brooks running shoes, there is nothing super about Super DNA foam. It feels and rides like an ordinary compression molded EVA foam. The Beast is an overdose of stability, so if you want a footwear antithesis, then the softer, cheaper, and the much lighter Ravenna 8 is the shoe to go for. The Ravenna delivers a supportive ride without relying on a conventional medial post, and the 10.5 Oz weight is substantially lighter than the Beast. These qualities make for a very differentiated ride character. For race-days and fast runs, the Brooks Asteria comes in handy. It has a mini-support feature on its medial midsole, and the extremely low weight makes faster runs more fun. Just watch out for its 4 mm heel-to-toe gradient, that will take getting some used to if transitioning from the 12 mm drop Beast. The Saucony Guide 10 is a good balance between cushioning and support. The combination of a traditional medial post and a firm lateral side produces a balanced ride, and the Everun topsole adds a wee bit of superficial responsiveness. When it comes to a supportive speed shoe, the adidas adizero Tempo 8 works great – only if you manage to work around its potential finishing issues. The New Balance 1500 V3 is also an equally competent fast-shoe alternative. As far as new updates go, the Beast 16 has no dearth of them. The ride is softer due to midsole and outsole design changes, and the upper fits tighter because of extra layering upfront. You’ll miss the Beast 14’s tongue gusset/sleeve, because the 16 doesn’t have one. 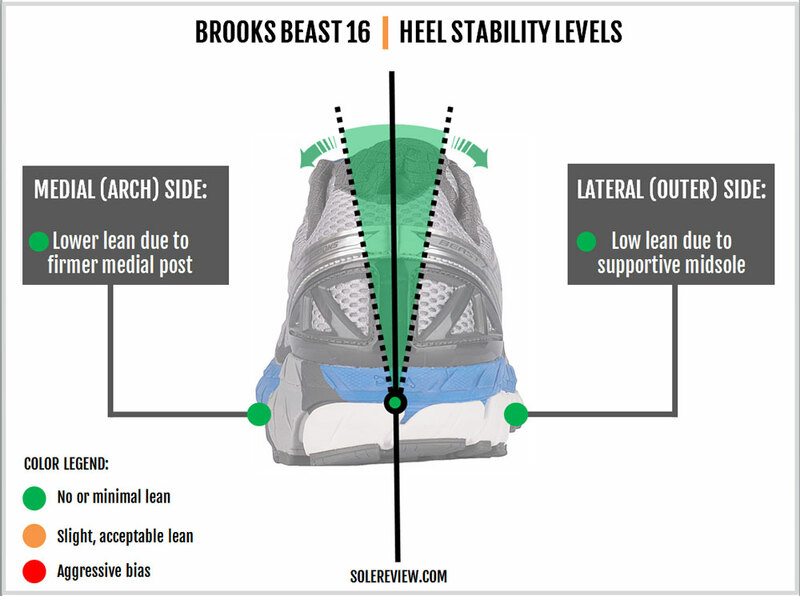 The heel fit lacks the vice-like hold of the Beast 14, which is the result of a lower back height and wider molding. Replacing the DNA Gel with foam and downsizing the plastic shank gives the Beast 16 a 0.2 Oz/ 6 gm weight advantage over the 14, but you’ll barely notice the real-world difference. The price of a cleaner aesthetic is a $10 increase over the already expensive Beast 14. 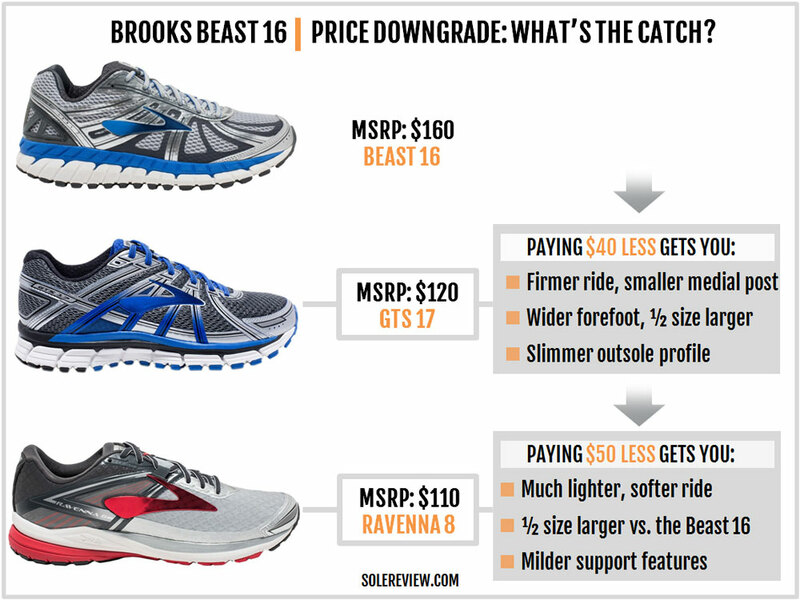 The Beast represents the highest level of stability within Brooks’ assortment, so for other support shoe options, you need to head downwards in price. The popular Adrenaline GTS 17 is a lighter stability model. Compared to the Beast, it tones down the stability aspect; its medial post and outsole footprint are of regular-shoe levels. It is $40 cheaper too. If you’re looking for an even milder version of stability while craving a cushioned ride, then consider the Ravenna 8. It does not have a medial post in the traditional sense, but rather a variation of it. It is priced $10 lower than the GTS and is differentiated by a softer ride and a lower heel offset of 10 mm.